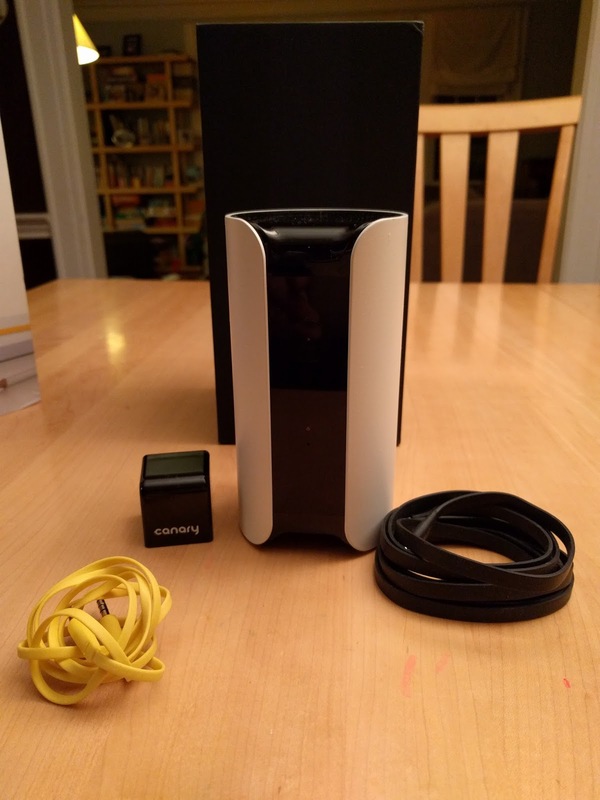 I was lucky enough to be selected by SproutUp to review the Canary complete security system in one device. I have to be honest, I was very excited about this until the device arrived and I began to set up the device. Setup is billed as being fast and easy, but my initial setup was far from that. First off, only certain smartphones are certified to use for setup, and being that my current device is a Nexus 6P, I was initially out of luck. Also of note, the Canary app is not compatible with tablets at this time. Thankfully I have a iPhone 6 and the original Nexus 6, so all should be good. 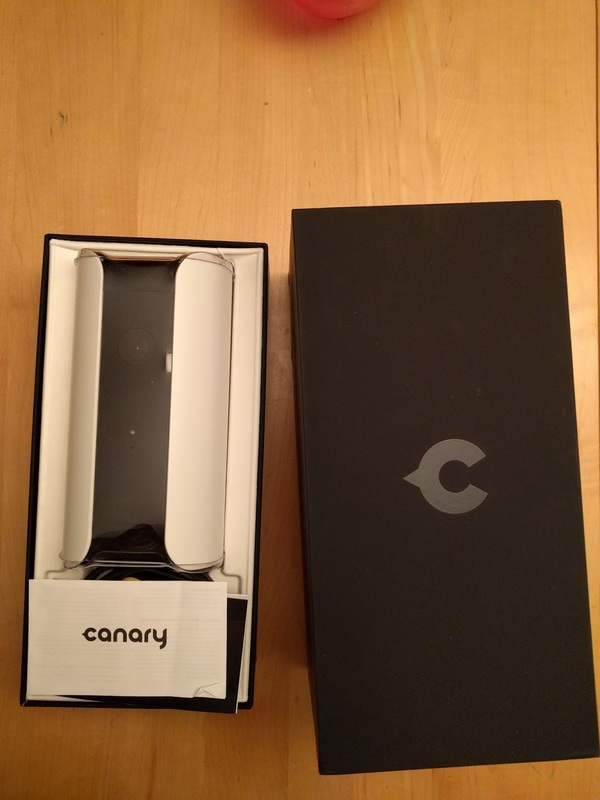 In order to setup the device you need to download the Canary app from the Play Store or the App Store. Once installed, I was prompted to create an account and start the process. The screens walked you through using the Micro USB cable to plug the device into the wall outlet and a 3.5mm audio cable for the secure setup. Simple enough, but using the Nexus 6P the devices would not be "heard" through the cable. So I switched to the iPhone 6 and all seemed fine, until the error message "This Device Has Already Been Activated" displayed. Huh? I didn't activate it yet, at least not that I was aware of. 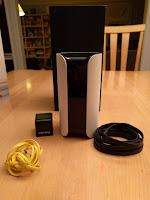 So a quick call to support, we did some trouble shooting, then he discovered from the serial number, that the device was previously used by someone at SproutUp. Ok, no biggie, just deactivate the device for me. Sorry, if we deactivate the device, it will never be able to be used again. Huh? Ok - what do I do? I was told I need the previous owner to invite me to use that device, and luckily I was able to obtain the invite from the proper people at SproutUp. So after about 2.5 hours I finally have the device up and running. Now I have some security concerns as the original owner is still on the device account, and I am unable to remove them. Can they see my house, my family right now? No idea. I have to contact the original owner to have them contact Canary to remove them and make me the owner. This entire process could not be more complicated and convoluted. This would be the same process anyone needs to take if they use the device and decide to give it to someone else to use. Yuck. 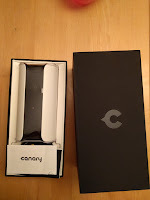 We are working with Canary to have the previous owner removed from the device. Enough about setup, I think you all get the point. I was really disappointed to find out I cannot view the live feed of my Canary from the desktop, it can only be viewed from the app on your smartphone. Navigating the app is not the easiest either, swipe here, tap there, not a very intuitive interface. From the app you can control the type of Mode the device uses, whether Auto or Manual. When in Auto-mode the device will Arm when all members of the account are not at the location setup during intial setup. 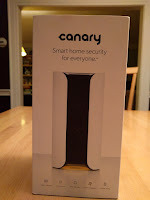 It uses the smartphone's GPS/Location settings to determine if they are home and automatically lets the Canary know. This works great if all people that use the space have a smart phone, otherwise you would need to leave Auto turned off. If Auto is off, then all members of the location need to manually arm or disarm the device. So essentially with options 1 and 2 the device will begin recording any time it senses motion. 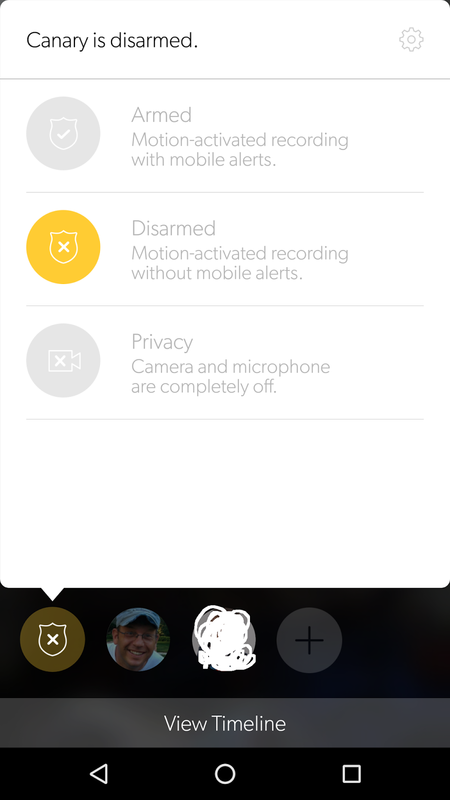 With option 1, Canary includes a sensitivity slider in the App that lets you set how often you are notified when a recording is started. So if you notice every time the wind blows outside you get notified, you can lower the sensitivity. I have been tweaking the sensitivity bar and I think I found the sweet spot for me. 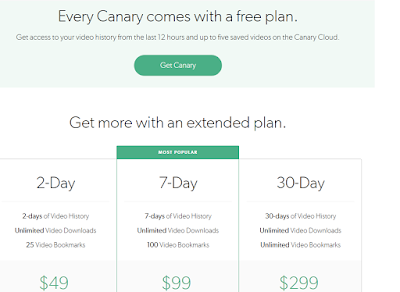 Canary offers 4 plans for storage as outlined below, I am opting to stay with the free plan. Since the Canary has a 1080p HD camera, you can watch live feeds right from your phone. And even better, if its dark, the Canary can still capture live video due to its Automatic Night Vision feature. The Canary also has a microphone so you can hear what is going on in the room as well. Could be handy when the kids are in the room to see what they are talking about, just joking. Watching the live feed does not seem to use too much data on the phone, I watched about 3-4 times per day, both live feeds and recordings, an over the course of about 4 days it used about 120mb of data total (split between Cellular and WiFi data). One thing to note with the live feed is that it truly isnt live, its about 5-7 seconds delayed. A nice feature is that the device will also read the temperature, humidity and Air Quality and graph that data over time. Air quality monitors for indoor contaminants such as Iso-butane, Hydrogen, Methane, Ethanol, Carbon Monoxide, Cigarette Smoke and Cooking Odors. Although the Canary claims to be a security system with its ability to contact emergency services when need, I feel this "security" is limited. Since it relies on the member(s) to have cell or Wifi signal on their smartphone when something bad is going down, one is not guaranteed to be in a position to make the emergency call from the app. As this is my first device of this type, I am not completely sold on it as a security device given the activity in our house with kids and a dog running around. For me, this seems like a glorified IP camera. You got to look at this review about Highster mobile.